GFWC Georgia is a state organization composed of women’s clubs throughout the State of Georgia whose members provide volunteer service to their local communities. 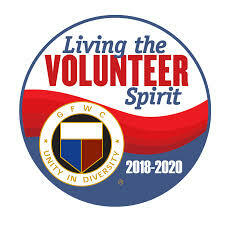 The primary purpose of GFWC Georgia is to carry out charitable service programs, provide leadership opportunities, and enrich the lives of its members through personal growth. To date, GFWC Georgia has 108 local woman’s clubs in Georgia and Sawnee Woman’s Club is proud to be affliated. Georgia Federation of Women’s Clubs is a member of the General Federation of Women’s Clubs. The GFWC is a nonprofit organization that brings together local women’s clubs in a collective effort to strengthen communities and enhance the lives of others through volunteer service. With 100,000 members in affiliated clubs in every state, the District of Columbia, and more than a dozen countries, GFWC members are community leaders who work locally to create global change by supporting the arts, preserving natural resources, advancing education, promoting healthy lifestyles, encouraging civic involvement, and working toward world peace and understanding. GFWC is headquartered in Washington, D.C.